Serving the Morongo Basin, associated communities and the world since 1971. 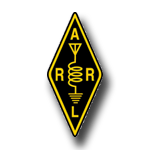 Every licensed amateur, regardless of membership in ARRL or any other local or national organization, is eligible to apply for membership in ARES. Training may be required or desired to participate fully in ARES. Please inquire at the local level for specific information. Because ARES is an Amateur Radio program, only licensed radio amateurs are eligible for membership. The possession of emergency-powered equipment is desirable, but is not a requirement for membership. Register for the Amateur Radio Emergency Service® online by visiting http://www.aresdb.com/. More information can be found on the ARRL website at http://www.arrl.org/ares. The Morongo Basin Amateur Radio Emergency Service® holds a monthly meeting on the first Thursday of each month at 1800 Pacific. The meetings are held at the Good Shepherd Lutheran Church located at 59077 Yucca Trail in Yucca Valley, California. The Morongo Basin ARES group conducts a net at 1915 Pacific each Monday on the linked repeater system.